When a national security expert, a journalist, and a feminist come together to discuss their perspectives on Borders, you can expect some uncensored truths. The session, ‘Border Tales’ saw Bishwanath Ghosh and General Kamal Davar putting across their perspectives on Borders. 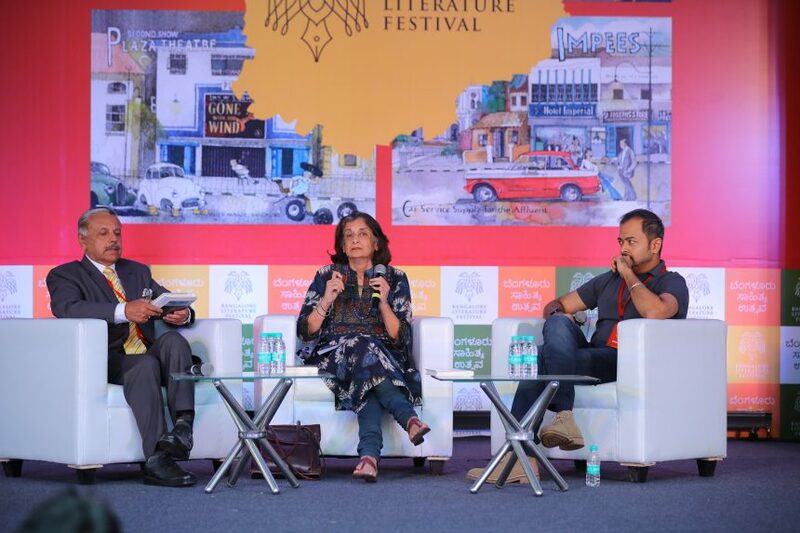 Ritu Menon was there to moderate the discussion and honestly, the word shuttle she played with Kamal Davar was the much needed light in the discussion. “Why is Pakistan on a self defeating path?”, Kamal Davar asked. He then talked of the ‘Deep State’ of Pakistan: a condition where the reins of the government are held by people who are not an elected body of power. He was also quick to point out that our Indian establishments are nothing like that. He also pointed out quite magnanimously that he had left talking about Pakistani citizens as they still show a glimmer of hope. Bishwanath Ghosh, who appeared less vociferous in the session talked about the life and culture of the people who lived on borders. According to him, they are oblivious to the tension mainland citizens have towards each other. Bishwanath Ghosh also pointed out that the question of nation doesn’t exist in the border areas. When he told the audience that many people do not know that Pakistani cement is used to build homes in Punjab, Kamal Devar replied by saying, ‘Can we then ask them in for lassi and aloo paratha?’. The session also saw Kamal Davar’s comments on how Pakistan was fomenting trouble in Punjab, an integral part of India. He emphasized how Pakistan’s establishments like the Army and Intelligence are defending their own interests in the name defending the border. ‘The unlimited perks that Pakistan’s retired army personnels enjoy’ was presented as an example by Kamal Davar to point out the concentration of power in Pakistan. The session then witnessed Ritu Menon trying to deflect the anti Pakistan narrative. She reflected that establishments on either side, India or Pakistan, are not above deceit. She further stressed, “ Pakistani army had actually succeeded because it has put India always on watch; Pakistan, one fourth of the size of India is the one that Indians are always wary of…”.